moved to a permanent position at the Department of Energy where he worked on the financial regulation of the electricity supply industry, and international trade in nuclear fuel and on a Green paper on Energy Policy. He left the Civil Service to do an MBA at London Business School. On graduating with distinction, he joined the faculty of LBS and did his PhD there. He was appointed to Associate Professor and became the first Academic Director of the full-time Masters in Finance programme. 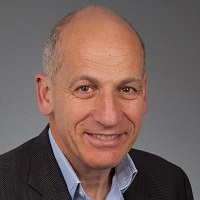 He subsequently left LBS to take up a chair at Warwick Business School where he was Director of the Financial Mathematics MSc and then became Head of the Finance Group. He joined Cass as Professor of Finance in 2013. His research interests include option pricing and hedging, market microstructure and pensions policy, and he has published in the Journal of Finance, the Review of Financial Studies, and the Journal of Financial and Quantitative Analysis. He has consulted for Government Departments, banks, stock exchanges and other bodies. Neuberger, A. and Hansch, O. (1995). Block Trading on the London Stock Exchange. In Schwartz, R.A. (Ed. ), Global Equity Markets Technological, Competitive, and Regulatory Challenges Irwin Professional Pub. Neuberger, A. (1994). Option Replication with Transaction Costs - an Exact Solution for the Pure Jump Process. Advances in Futures and Options Research Vol. 7 (pp. 1–20). Hobson, D. and Neuberger, A. (2017). Model uncertainty and the pricing of American options. Finance and Stochastics, 21(1), pp. 285–329. doi:10.1007/s00780-016-0314-2 . Kozhan, R., Neuberger, A. and Schneider, P. (2013). The skew risk premium in the equity index market. Review of Financial Studies, 26(9), pp. 2174–2203. doi:10.1093/rfs/hht039 . Neuberger, A. (2012). Realized Skewness. Review of Financial Studies, 25(11), pp. 3423–3455. doi:10.1093/rfs/hhs101 . Hobson, D. and Neuberger, A. (2012). ROBUST BOUNDS FOR FORWARD START OPTIONS. Mathematical Finance, 22(1), pp. 31–56. doi:10.1111/j.1467-9965.2010.00473.x . Britten-Jones, M., Neuberger, A. and Nolte, I. (2011). Improved Inference in Regression with Overlapping Observations. Journal of Business Finance & Accounting, 38(5-6), pp. 657–683. doi:10.1111/j.1468-5957.2011.02244.x . McCarthy, D. and Neuberger, A. (2005). Pricing Pension Insurance: The Proposed Levy Structure for the Pension Protection Fund*. Fiscal Studies, 26(4), pp. 471–489. doi:10.1111/j.1475-5890.2005.00020.x . McCarthy, D. and Neuberger, A. (2005). The Pension Protection Fund*. Fiscal Studies, 26(2), pp. 139–167. doi:10.1111/j.1475-5890.2005.00008.x . Neuberger, A. and Hodges, S. (2002). How Large Are the Benefits from Using Options? The Journal of Financial and Quantitative Analysis, 37(2), pp. 201–201. doi:10.2307/3595003 . Britten-Jones, M. and Neuberger, A. (2000). Option Prices, Implied Price Processes, and Stochastic Volatility. The Journal of Finance, 55(2), pp. 839–866. doi:10.1111/0022-1082.00228 . Naik, N.Y., Neuberger, A. and Viswanathan, S. (1999). Trade Disclosure Regulation in Markets with Negotiated Trades. Review of Financial Studies, 12(4), pp. 873–900. doi:10.1093/rfs/12.4.873 . Neuberger, A. (1999). Hedging long-term exposures with multiple short-term futures contracts. Review of Financial Studies, 12(3), pp. 429–459. doi:10.1093/rfs/12.3.429 . Britten-Jones, M. and Neuberger, A. (1996). Arbitrage pricing with incomplete markets. Applied Mathematical Finance, 3(4), pp. 347–363. doi:10.1080/13504869600000016 . Neuberger, A. (1996). Using futures contracts for corporate hedging: The problem of expiry and a possible solution. European Financial Management, 2(3), pp. 263–271. doi:10.1111/j.1468-036x.1996.tb00043.x . Neuberger, A. (1994). The Log Contract. The Journal of Portfolio Management, 20(2), pp. 74–80. doi:10.3905/jpm.1994.409478 . Neuberger, A.J. (1993). An empirical examination of market maker profits on the London stock exchange. Journal of Financial Services Research, 6(4), pp. 343–372. doi:10.1007/bf01046075 . Neuberger, A. and Schwartz, R. (1990). London Equity Market. Financial Markets and Portfolio Management, 4(3), pp. 281–301. Hodges, S. and Neuberger, A. (1989). Optimal Replication of Contingent Claims under Transaction Costs. Review of Futures Markets, 8(2), pp. 222–242. Independent report questions Govt 'defined ambition' pension reforms. (2014) Mortage Strategy. Professor Michael Neuberger. (2013) The Times (newspaper).